On July 1, 2016 Mexpro sold its RV Division to one its own. Derek Kartchner founded Gila Insurance Group LLC. He and Rachael Galiano (also formerly of Mexpro), continue to provide specialty RV insurance from quality companies at great rates. 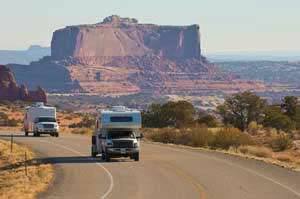 If you are headed to Mexico, the best way to insure your RV is a Mexico policy from Mexpro, and a US RV policy from Gila Insurance Group. Together they can save you hundreds on your RV insurance before you go, and ensure you have the best coverage possible. As an Independent Insurance Agent Gila offers multiple high quality companies, so start your quote online and let them do the shopping for you.